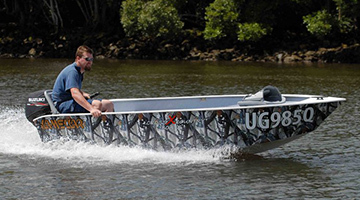 Australian designed and manufactured, CrossXCountry fishing boats are changing the face, and definition, of the old ‘tinnie’ by using the E-LITE revolutionary construction process and selective state of the art materials. 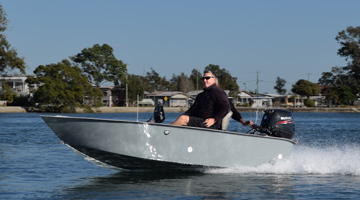 CrossXCountry fishing boats are lighter, tougher and definitely sexier than any ‘tinnie’ on the market. 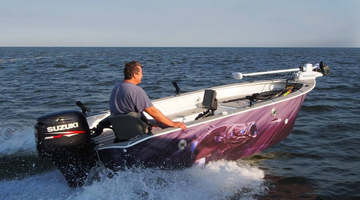 Whether you’re a recreational boater, keen fisherman, tournament fisherman, or simply want to get the family on the water, CrossXCountry sports fishing boats has the configuration to meet your needs.  Starting with a base size for 3.7, 4.1, 4.3 or 4.5 we can completely custom build a boat right here in Australia. 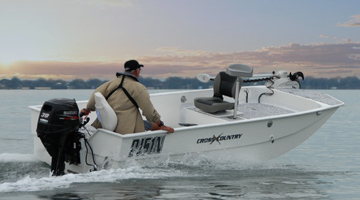 Our CrossXCountry boats have exceptional casting decks standard, plus stacks of storage. 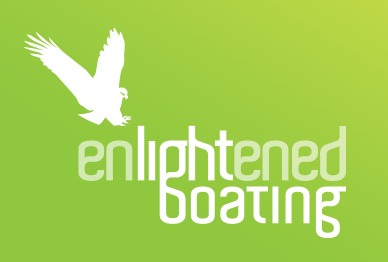 Add accessories including designer vinyl boat wrap, upgraded seats, rod locker and hand rails to personalise your ride.